Moshi Monsters is the hugely popular online kids game with over 70 million users worldwide. The brand is a merchandising and licensing phenomenon with a very popular string ofanimated Music Videos available. 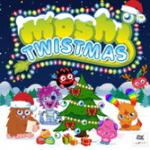 Mind Candy, the creative rminds and parent company of Moshi Monsters, tapped HOME PLATE to produce “Moshi Twistmas”, a fully animated Music Video which launched on YouTube and now has over 1 million views. The colorful and iconic short also broadcast on Canada’s leading kidcaster YTV on Christmas Day. It can also be seen on the Company’s newly launched MoshiTV.com, and is also available on iTunes as well as other DTO platforms.